For a long time, the empire was fascinated by the power of 'Metastasis' and tried to control it. Hence, a great Metastasis experiment began in Vilmark - 50. However, the experiment resulted in failure and the land surrounding Vilmark was destroyed. And the monsters within it turned ferocious. The aftermath of the experiment did not end there. The great, uncontrollable metastasis energy had a big impact on Humans as well. This energy was so great that, even after killing every researcher and soldier who took part in the experiment, it still remained tremendously powerful. "Nobody survived the aftermath of the experiment." This was what was written in the official report to the Emperor. However, there were a few children who gained supernatural powers from this metastasis energy. The Empire Knights, fascinated by their powers, took in these children to train them as soldiers. which allows them to attack through dimensions by utilizing the metastasis energy. When the Emperor found out, however, most of these children were purged as traitors. And the Knights were disbanded and reorganized by Vaughn Wahlestedt. It has been said that the few Female Slayers who survived hid near Hendon Myre to avoid the Empire. But the truth is still unclear. Female Slayer was an experiment in the Vilmark incident - the only thing keeping her stable is a stone embedded in her right hand. A Magical knight flowing with the sophistication of an aristocratic woman, reborn as an even more sophisticated devilish knight with the momentum of metastasis. She can dominate and force monsters to her knees with her devilish power. Similar to Male Slayer, but with some quirks. She lacks masteries; only Sword Master receives them. She has a passive skill called Composure, which increases critical hit rate as she attacks. Her X chain is different and is rather prone to changing in her subclasses. Her original armor type being Leather suits her rather well due to changes in modern DnF. 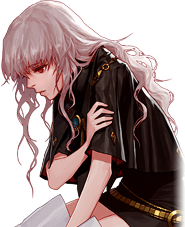 She is unable to join the Joint Investigation Group during the Zelva Epic Quests, given her history with the De Los Empire. The elemental mistress of blade and bludgeon, the Sword Master focuses on comboing and chaining skills with Blade Dance. Has decent AoE, zone control and utility holding. Uses Elemental Shift (Sword Master) to change the element of her weapon. Each elemental weapon has additional effects from Magic Sword Medley. While mildly comparable to the Blade Master in terms of weapon mastery, she can realistically only master one weapon, though her elemental transformation makes up for it. Other Notes: While a future patch will improve her power, Katanas are generally considered PvP only. The utility spellcaster. The Dark Templar wields Short Swords, and focuses on zoning, support, crowd control, and holding down groups of enemies. Not the best at doing damage, but it is dependent on how well you can utilize Congest to maximize damage done by your spells. The medium-long range physical damage fighter. The Demon Slayer wields Zanbatos, and focuses on keeping enemies at a distance and attacking them with Heaven Cleaver. Her Heaven Cleaver allows her sword skills to hit multiple times, with the chance of Bleed (Status), and usually follows with a finishing blow. The burst damage class. The Vagabond can use Lightsabres and she is able to dual wield them. Has a variety of area-of-effect skills at her disposal to be used in different situations. The Vagabond can engage enemies up close with attacks such as Gyre and Blade Triangle, blast foes from afar with skills such as Ignite and Cutting Palms, and use a variety of grabs such as Spiritual Suction, Soaring, and Sword Wheel to gather enemies up for assault. The Vagabond can then use powerful cube skills such as Fluttering Blades to finish them off. With Qigong - Yang, the Vagabond is able to transform her secondary Lightsabre into any Slayer weapon type in order to add additional effects to her basic attack chain. Coupled with Quintuple Strength, the Vagabond's basic attack chain is able to deal fairly consistent damage when her skills happen to be on cooldown. The Female Slayer is the only class to have a different instructor from her male counterpart as opposed to both genders normally sharing the same instructor.